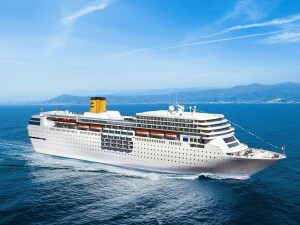 Costa Cruises is all set to sail from Mumbai starting December 2016 until March 2017. Nalini Gupta, Head, Costa Cruises India and MD, Lotus Destinations, said, “Costa cruise will be homeporting Costa neoClassica in Mumbai port from December 23, 2016 to March 18, 2017. During this period, we will be doing seven nights sailing from Mumbai to Maldives and seven nights return to Mumbai with interesting Indian ports enroute.” The move would finally put India on the cruising map. The seven day itinerary ex-Mumbai goes to Mangalore and then to Cochin, and finally to Maldives. The 7 day itinerary ex-Maldives takes guests to Colombo), Goa and finally Mumbai. The cruise liner that will be operating on this route can accommodate around 1800 people. Mega luxury cruise vessel ‘M.V.Ovation of the Seas’ called at the Cochin Port for a 2-day stop-over in its circuit of Dubai-Muscat-Kochi-Penang-Singapore. The vessel with 4000 passengers and 1649 crew was given a warm and colourful reception at the Cochin Port. 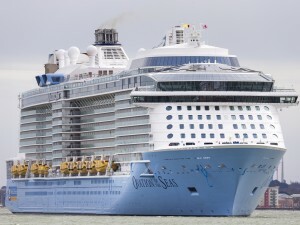 ‘M.V.Ovation of the Seas’ is a brand new ship of the Royal Caribbean Lines which was floated out in April this year. 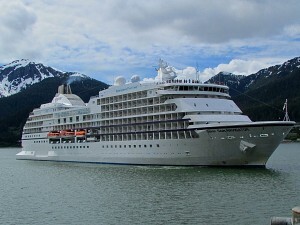 It is 348 m long and is in the 2nd largest class of cruise vessel. 90 passengers from Dubai/ Muscat disembarked at Cochin Port and 80 passengers will embark from the Port. A brief plaque exchange ceremony was held to commemorate the inaugural call. G.Senthilvel, Chairman, Cochin Port, Dr. C. Unnikrishnan Nair, Traffic Manager, Cochin Port, Sethuraman, IPS, FRRO (Bureau of Immigration), M.M.Haseeja, Ministry of Shipping, Mohamed Farouk, Asst. Director General, Ministry of Tourism, Govt. of India, Thomas Korah, Joint Director, Kerala Tourism Department and other officials participated. Senior officials from Kerala Tourism and India Tourism were present to help the tourists for the local visits. Officials from the Ministry of Shipping and Ministry of Tourism, Government of India had specially come from New Delhi to welcome the cruise vessel as part of the Government of India’s measures to promote Cruise Tourism. With the objective of promoting Cruise Tourism in India, a Task Force on Cruise Tourism has been constituted by the Ministry of Tourism, Government of India. The Task Force comprises members from the central ministries, state governments, various port trusts and private sector. As per the decisions taken by the Task Force on Cruise Tourism, Port Level Facilitation Committees have been set up by port authorities under the chairmanship of respective port trust chairman for coordinating logistic issues with all concerned agencies prior to the landing of cruise vessels. This information was given by Dr. Mahesh Sharma, Minister of State for Culture and Tourism (Independent Charge) and Minister of State for Civil Aviation in a written reply in Rajya Sabha. The maiden Maritime India Summit, 2016 (MIS-2016) was organised by the Ministry of Shipping in Mumbai from April 14 to 16, 2016. The objective of the Summit was to create awareness of the untapped potential of Indian maritime sector and showcase investment opportunities. The focus was on presenting India as an attractive investment destination and encourage potential investors for investing in the Indian Maritime Sector. Dream Cruises’ first ship, Genting Dream that was launched in India this January, will dock in Mumbai on October 29, 2016. Thatcher Brown, President, Dream Cruises, who was in Mumbai to make this announcement, said, “We will announce the price of the packages agents can start selling by February end. We will offer a really good value proposition to our trade partners and the commission structure will be similar to the one of Star Cruises. Itineraries will include two-, five- and seven-night cruises. As of now, we don’t have plans to make Mumbai a permanent stop for it.” The ship will be stationed out of China for regular sailings and will be priced higher than Star Cruises’ existing cruises. The new ships will have of 1,700 staterooms, 35 restaurants and bars, various entertainment areas, outdoor adventures, rejuvenation facilities and more. Her sister ship World Dream will sail in November 2017. Global Panorama Showcase (GPS) 2016, that took place from January 8-10 in Nagpur, served as a platform for the India launch of Dream Cruises–a premium cruise brand for the Asian markets under the Genting HK banner. Naresh Rawal, Vice President, Sales, Star Cruises (India), said, “With this new brand, Genting Hong Kong will now offer cruising products in three different segments—Star Cruises that will be promoted as a contemporary brand, Dream Cruises as the premium brand and Crystal Cruises as the luxury brand. The ship will make its way from Germany to Singapore via Colombo, making a stop in Mumbai on its way in the last week of October or first week of November 2016, just after Diwali. We will be opening bookings for this, once we have the dates and itineraries confirmed. This will be a dry run and the ship will be stationed out of China for regular sailing.” It will be priced higher than Star’s existing cruises. 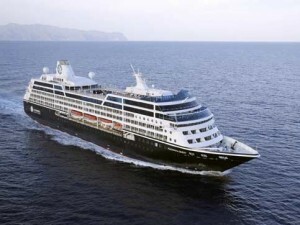 Itineraries will include two-, five- and seven-night cruises. The new ships will have of 1,700 staterooms, 35 restaurants and bars, various entertainment areas, outdoor adventures, rejuvenation facilities and more.